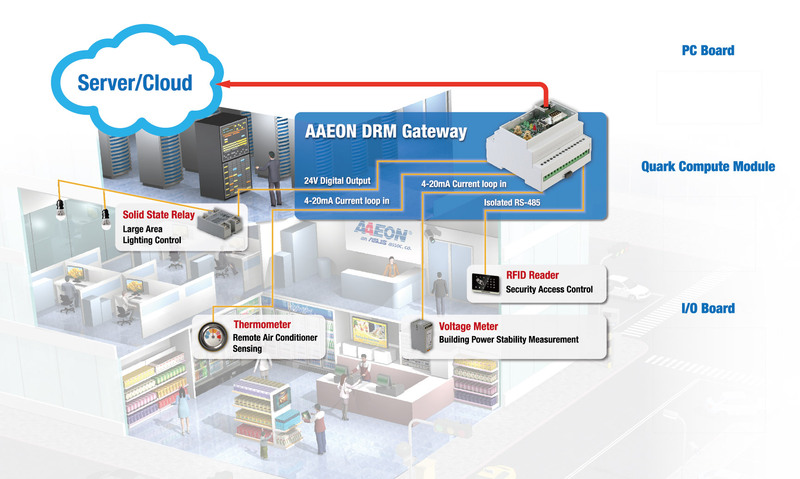 Jointly developed by Intel and AAEON, the BMS, or Building Management System, is an intelligent gateway aimed at introducing the burgeoning Internet of Thing (IoT) technologies to professionals, as well as to the general populace. The system primarily comprises of four different boards, namely the PC board, CPU board, Industrial I/O board and backplane board, stacked atop one another for a compact a system that not only brings convenience to installation in both big offices and typical households, but also allows for hassle-free upgrades and customisation, as the boards can simply be swapped out and replaced, as desired. In addition to the extensive I/O capabilities provided by the PC board, the Industrial I/O board, located at the bottommost layer of the stack, employs isolated RS-485 and digital I/Os, allows for analog signals, such as temperature, pressure and sound, to be detected and converted to digital signals for control and monitoring purposes. Holes catered for each connection are also drilled into the enclosure so that maintenance or repairs can be performed precisely and effortlessly.